and make 2017 your best putting year yet! 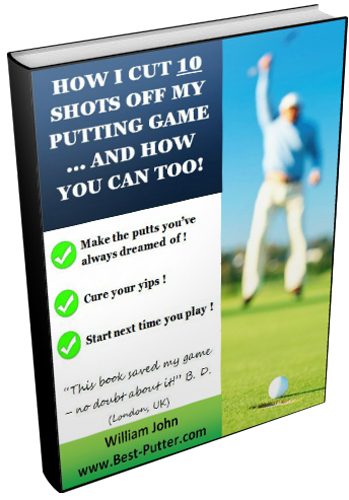 I'm looking for a handful of book reviewers to help me with the launch of a putting book that I believe can massively improve the putting of thousands of golfers. The book is the result of a personal "voyage of discovery" which has taken me from being one of the worst putters on the professional mini tours, costing me a career in golf to one of the best putters I know. 20 years too late, I've worked out how to be an awesome putter! This year alone I've had rounds with 23, 25 and 26 putts, and the last two years I've had a better putting average than many US tour players. It's all down to the techniques I've learned from spending $1,000s visiting the best putting teachers in the world and putting all their ideas together. Would you like to have similar results? If you complete this short survey, I'll send you a preview copy of the book for FREE (retail price is likely to be around $25). All I ask is that you give me some feedback once you've looked at it.